By: Dr. Hossein Nivi, President & CEO Pendaran Inc. Since the time of the Renaissance, “mass education” has transformed our societies and ways of life. One impact of this change has been the elevation of learning by reading and listening to lectures (passive education) at the expense of learning by doing (active education or apprenticeship). Business schools and leadership development programs are examples of this emphasis on learning by classroom teaching and reading books, rather than an apprenticeship model of on the job training and individual experience. Technology today, however, allows us to capture, store and transfer individual experience, as well as accumulated organizational experience. Pendaran Inc. has begun to build libraries of experience via simulators. These experience repositories are a cross between a flight simulator, boot camp and business school, and they deliver powerful advances in accelerated experience and knowledge transfer, reducing an apprenticeship phase from years to weeks. Several leading corporations and national organizations in the US, including the Department of Defense, have engaged Pendaran Inc. to apply this method for transferring experience to their employees and commanders in an accelerated fashion. In this event Dr. Hossein Nivi (founder and CEO of Pendaran Inc.) introduces this revolutionary method and explores how it has opened new frontiers in learning. By capturing personal as well as organizational experience (whether it is business experience, leadership experience, etc. ), storing that experience, and transferring it in an accelerated fashion to others, Pendaran is making it possible to expand and re-elevate the role of apprenticeship-type learning. His talk will be followed by a short Q&A session. 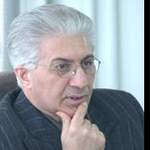 Dr. Hossein Nivi is an accomplished executive, engineer, and academic with expertise in leadership development, learning systems, and applied systems thinking. He was a part of the original team to build two globally completive universities in Iran. He was the Global Director of Leadership Development at Ford Motor Co. and the Dean of Ford Design Institute. He pioneered a revolutionary new training program for Ford which became the foundation of his new company. Dr. Nivi was a professor at the Sharif Univ. of Technology and the Dean of the College of Business at the University of Detroit-Mercy. He holds a Ph.D. from the University of London and two Master degrees. To register, you can email transfer the $50 registration fee to our treasurer, Ms. Sadr, and we will confirm your registration, if there is still available space. Her email address is: snegin.sadr@gmail.com.